Rather than trashing the wedding dress, I decided to milking it for what it’s worth! 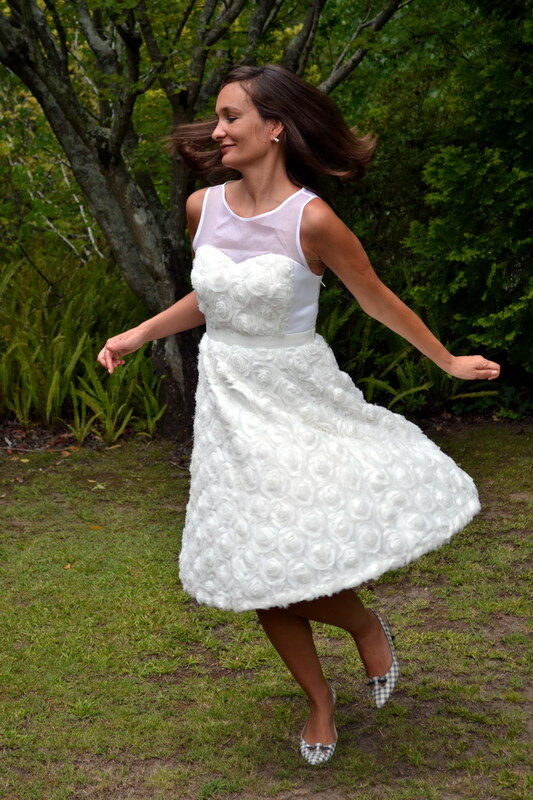 For the holidays in Australia, I packed my J Crew wedding dress to show it off to the family for a little garden party! 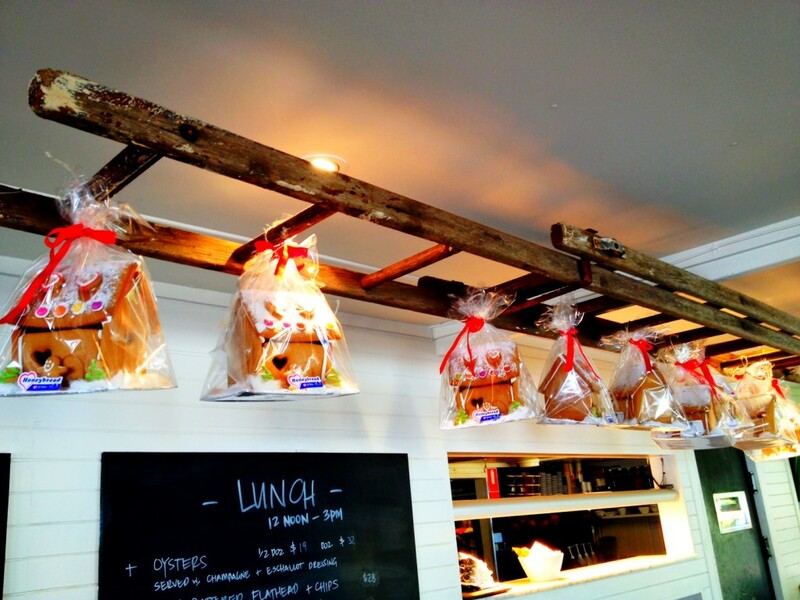 So I swapped Berlin’s Roccoco Ermelerhaus with the lush green bushland of the Sydney suburbs for afternoon tea. Every bride thinks her wedding dress is the most beautiful gown in the world and I’m no different. I gladly take every excuse to show off my knee length “Rosebloom” dress by J Crew. It traveled beautifully, I simply flat packed it in my suitcase for the 24 hour flight and it looked as good as new when I unpacked it. Yet another good argument against huge, high-maintenance meringue dresses you can’t even go to the toilet with! Mine is understated enough that I think I will get away with wearing it out to dinner for every anniversary! After a tumultuous departure from London for Sydney and a seven hour delay in Dubai, I’m happy to be in Sydney at last. The picturesque beaches and bright blue skies more than make up for the 33-hour-flight! When it comes to fashion, Sydney rocks the style of a very relaxed beach city: During the day, men tend to wear the flip flops, shorts and a washed-out Fresh Jive T-shirt. Women can be seen in tiny sun dresses, wide-brimmed straw hats and sandals. I’m glad Mr Romantique moved away from the generic Sydneysider look and now nails the casual but cool look: Knee length shorts, navy blue polo short and Ray Ban Aviators. 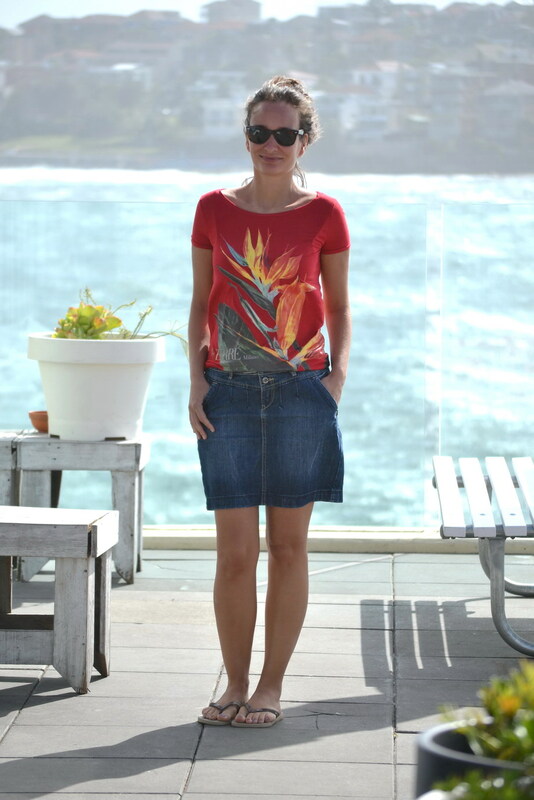 For a stormy day, I’m wearing a red, printed T-shirt from Gianfranco Ferre, a comfy denim skirt from Esprit and my two indispensable Sydney accessories: South African Havaianas for comfort and Ray Ban wayfarers. Mr Romantique is wearing: Shorts from Tokyo Laundry, polo shirt from Calvin Klein. Street style Sydney: Printed Shirt from GF Ferre, wayfarers from Ray Ban. South African themed flip flops from Havaianas. Some places on this earth are so beautiful, they don’t need fancy Instagraming to look cool or atmospheric. 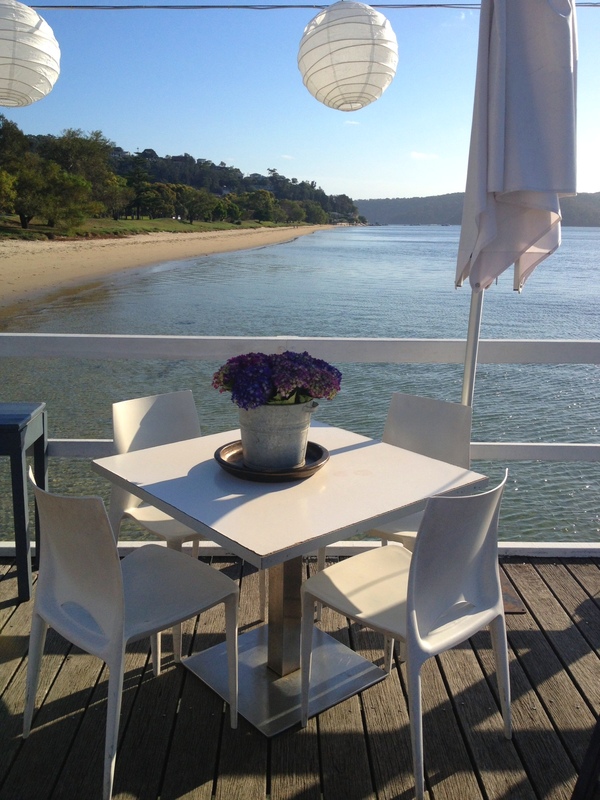 The restaurant “The Boat House” in Sydney, located at Palm Beach, on the Northern Beach peninsula, is one of those places. The romantic chic interior has a tasteful and contemporary feel, decorated with fresh flowers and colourful, rustic furniture. 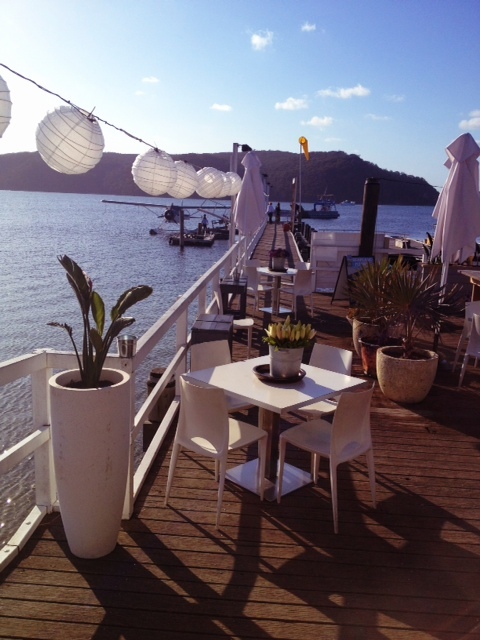 Just grab a sandwich from the bar and enjoy the stunning sea views from the wharf. 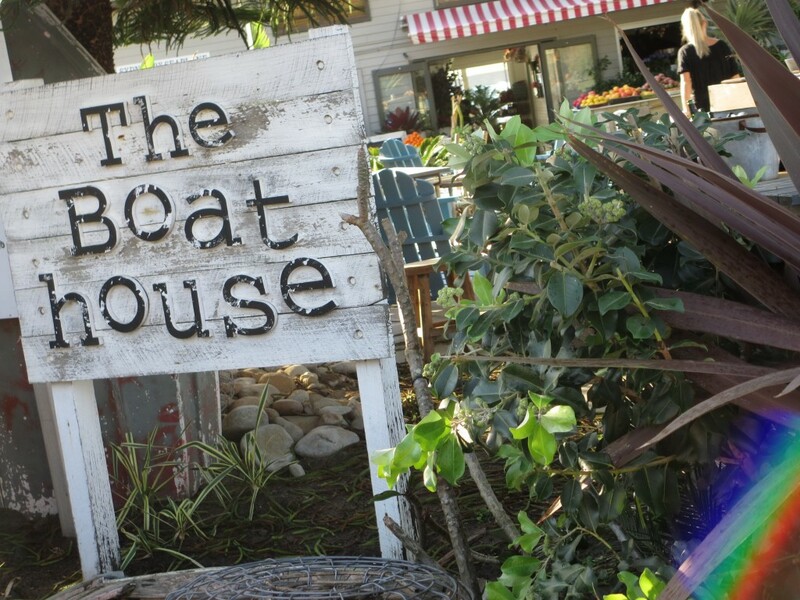 Enjoy the dreamy pictures of the Boat House! The boat house created a playful take on festive decorations in a warm climate – these Danish gingerbread houses dangling from a ceiling mounted ladder look too cute! Best Danish – Australian combo since Mary and Frederik! 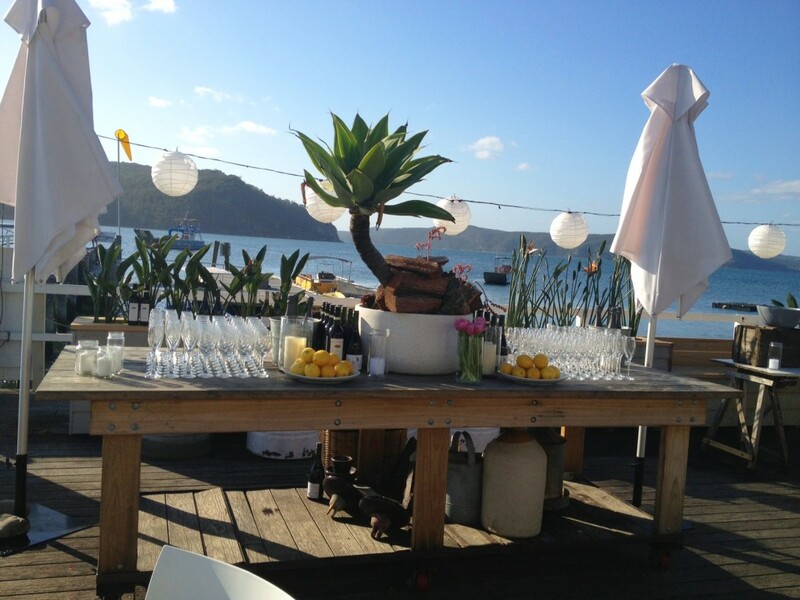 The boat house decorated for a wedding – mind you, this stunning setting doesn’t need a lot of decorating! 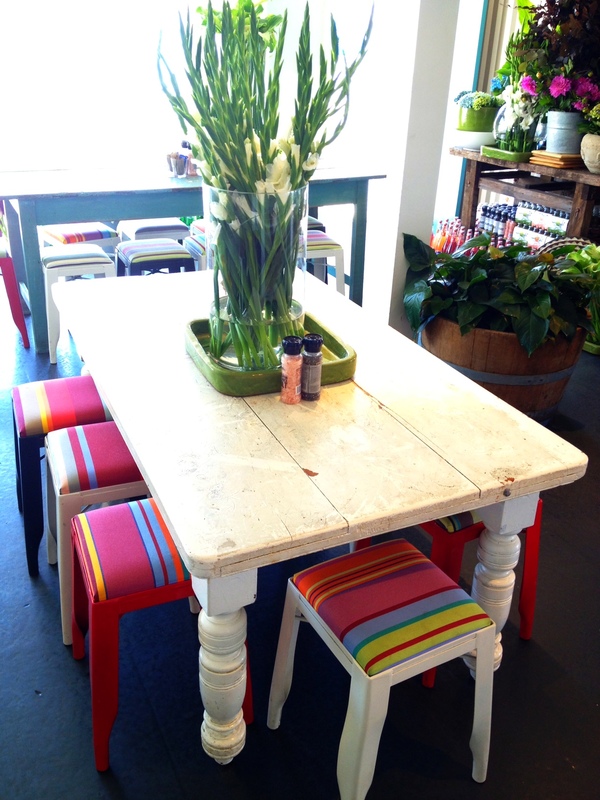 Fresh flowers, colourful chairs and white wooden rustic tables – the perfect beach cottage décor. 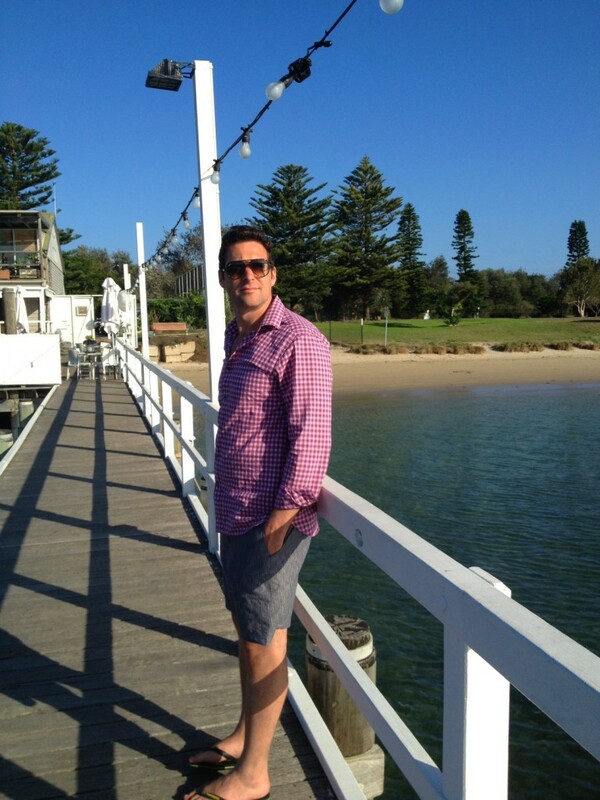 Mr Romantique chilling on the wharf – he’s wearing shirt “Chester” in Raspberry from Reiss, shorts from H&M, South African Havaianas flip flips (or thongs, as they say in the Aussie part of the world). 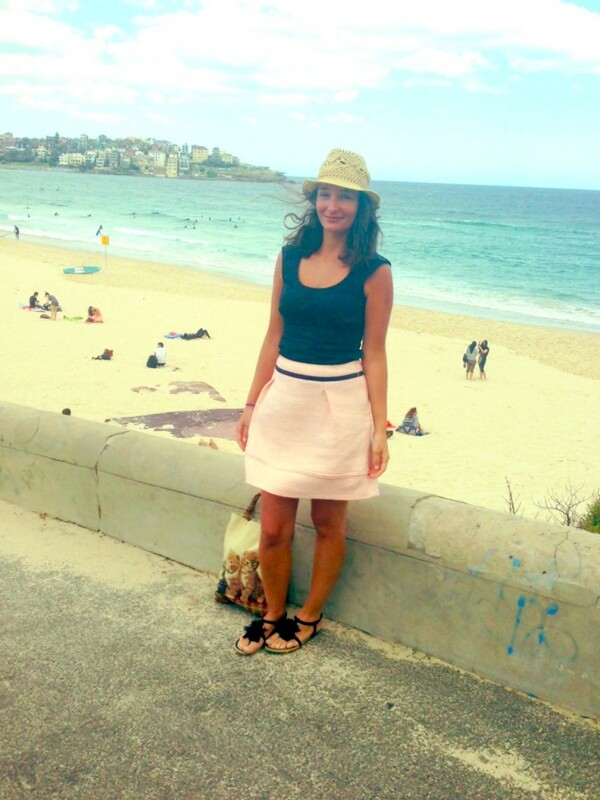 I’m wearing a white broderie anglaise dress from Max & Co, straw hat from Seafolly Australia. As Christmas is approaching fast and we get wrapped up warmly in the Northern Hemisphere, the peak of summer is approaching Australia. 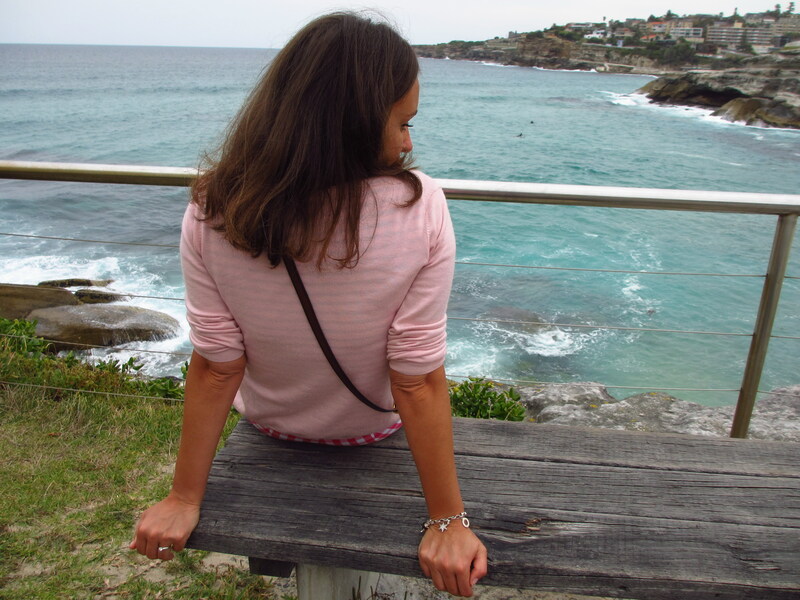 On our last day in Sydney, the sun hid behind clouds, ideal for an atmospheric Bondi to Bronte beach walk. 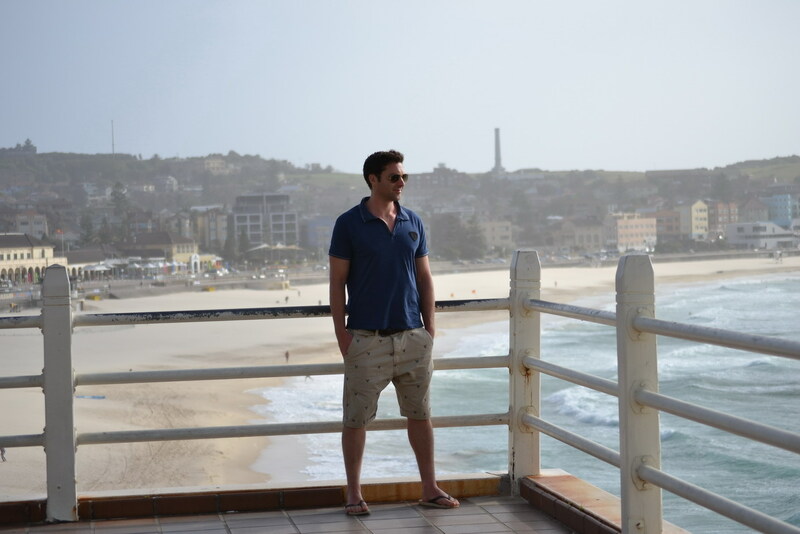 Hugh Jackman, Australia’s hottest actor export, tipped this walk as one of his 5 favourite things to do in Sydney! 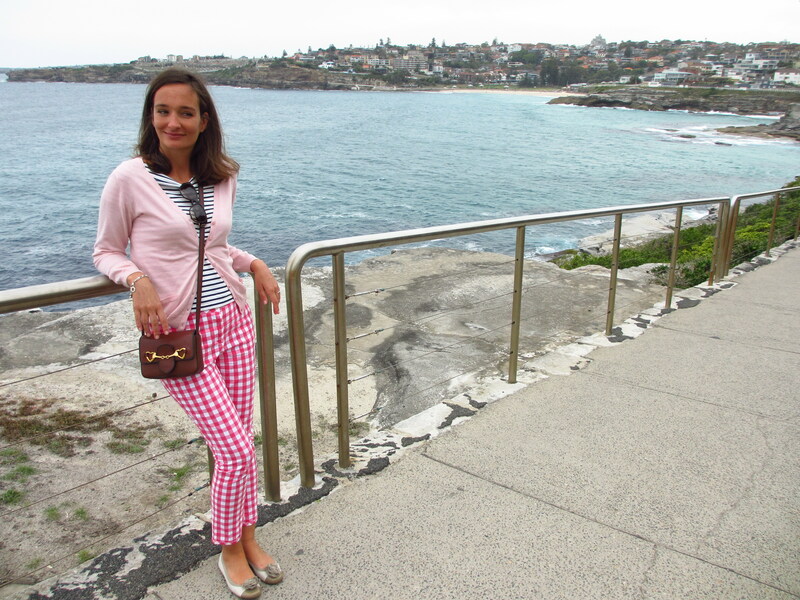 Which fashion item fits better with a scenic beach walk than romantic Vichy gingham checks? I’m wearing pink Vichy cropped pants from Gant, ballet pumps from Pretty Ballerina, pink cashmere cardigan and kindergarten cross body bag by Moschino. 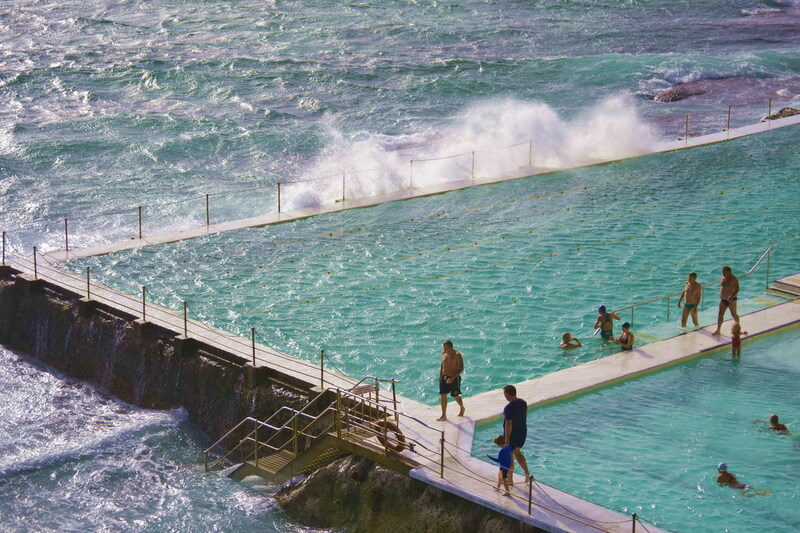 The Sydney beaches Bondi, Tamarama and Bronte are connected via a beautiful coastal walk. Coco Chanel’s fashion sign posts – the bouclé wool suit and strands of pearls – have been re-invented by Karl Lagerfeld every season, mixing it with urban hip hop and haute couture. 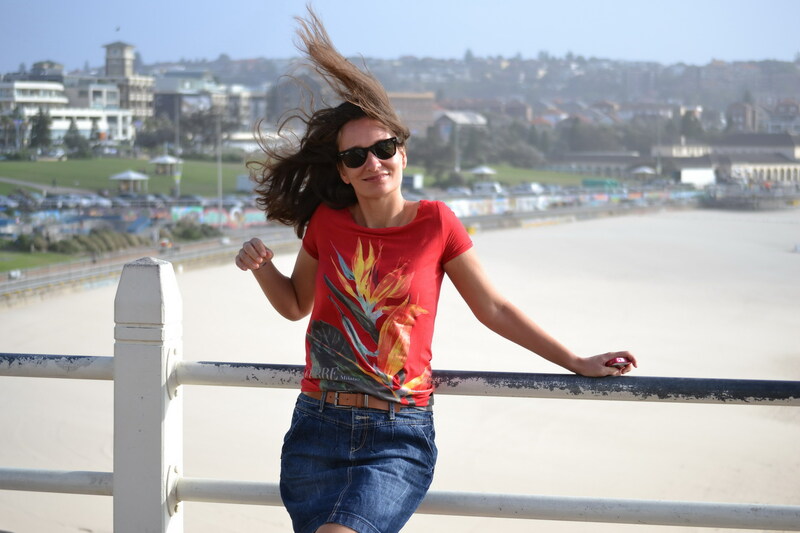 Even on holiday in Australia, you can easily throw in a bit of Coco casual chic! Just take a light bouclé cotton skirt in a gelato colour and add some pearls. 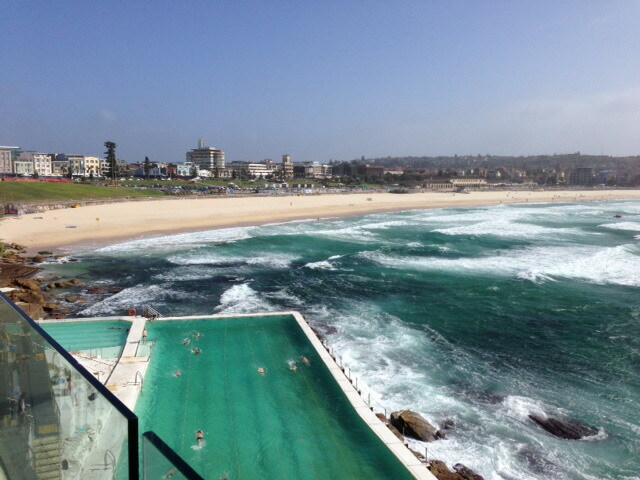 In the above pic, we are chilling at Bondi Beach. 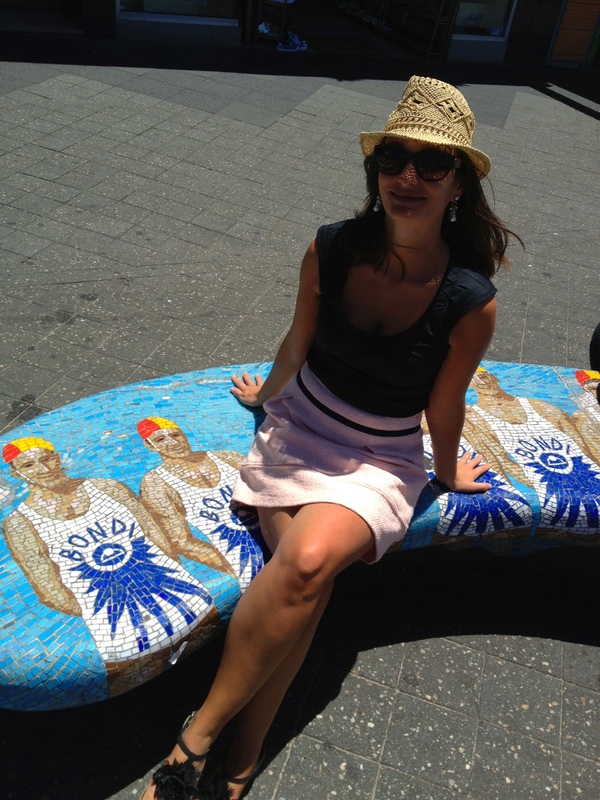 Relaxing on the cute mosaic benches at the promenade of Bondi Beach: My A-line summer bouclé skirt with navy grosgrain piping detail is from Max&Co, straw fedora hat from country road. 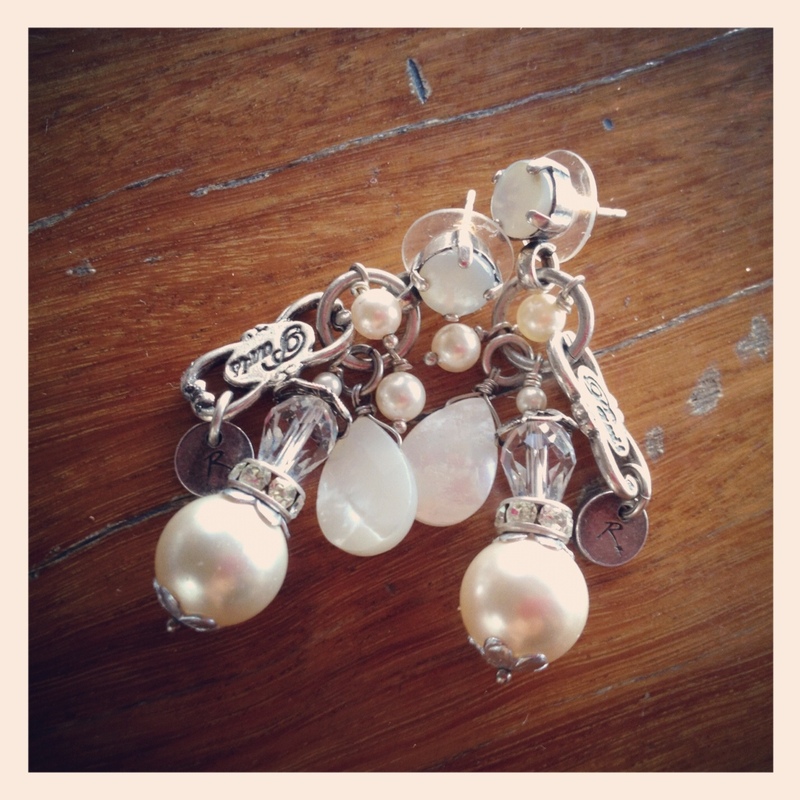 Pearl earrings from French costume jeweller Reminisence. Reminiscence is a French jeweller and perfumer from the South of France – all of their jewellery is handmade and so charming and special. 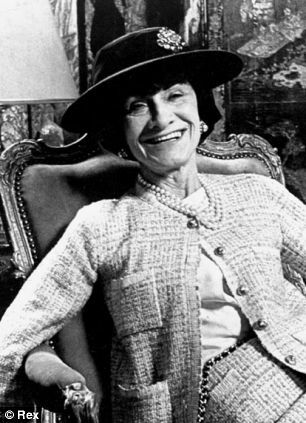 Coco Chanel in 1954 in her tweed boucle suit and pearls and above my modern day interpretation. Two whirlwind weeks at Sydney are sadly coming to an end and it’s straight back into the rat race that is London . 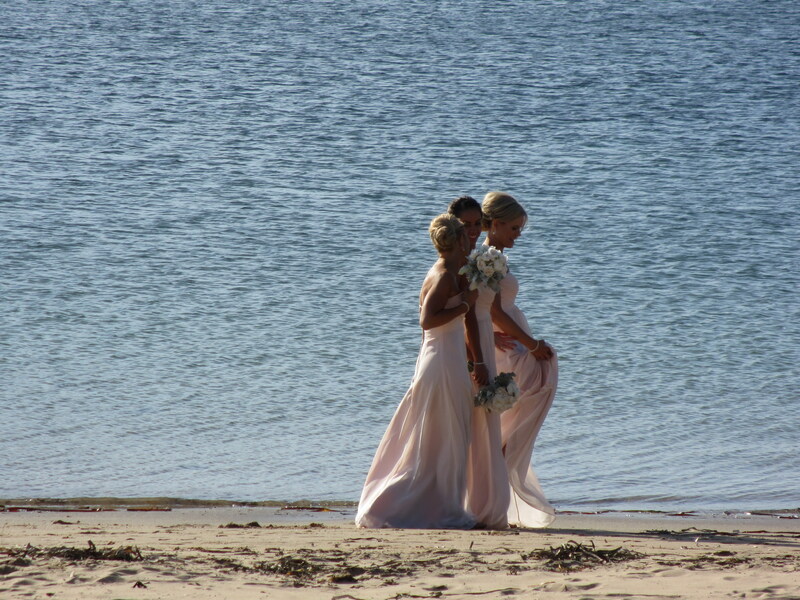 It’s been a great time down under including a beautiful wedding, lots of beach down time, good fresh food and friendly locals. If this beautiful place only wasn’t 24 bloody hours away from Europe! 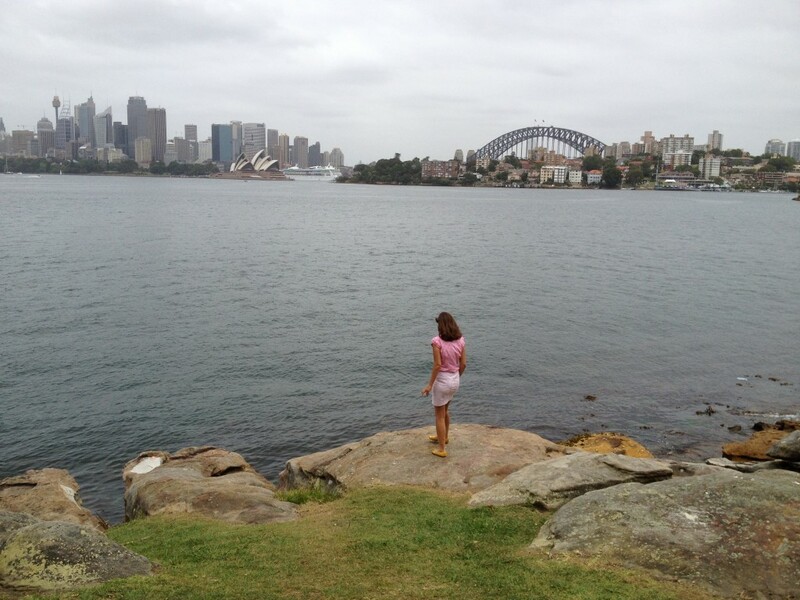 But I guess that is one of the advantages of Australia – if it was easy accessible, it would be totally overrun! Check back for some breathtakingly scenic shots of the land down under once I sorted through my hundreds of pictures back in London! 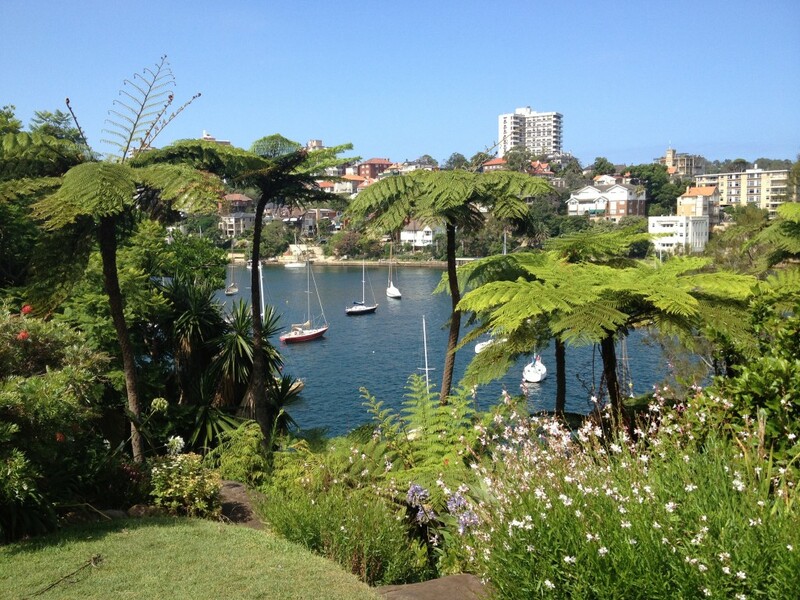 Above: Cremorne Point is a beautiful picnic spot with a magnificent view over the Opera house and the Harbour bridge.